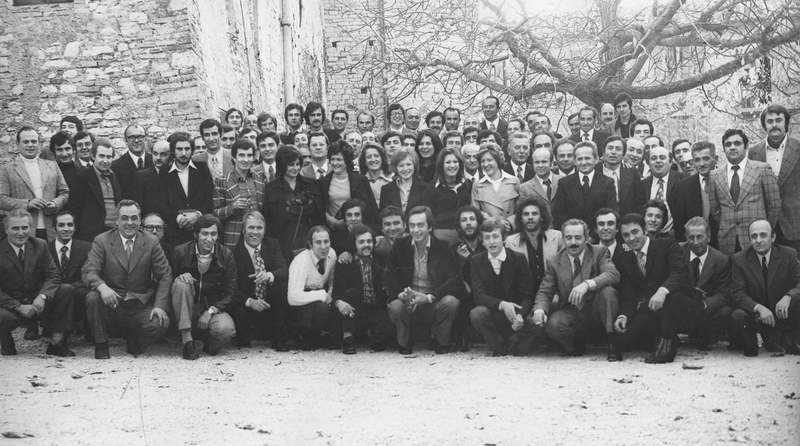 The company Dominici is founded. 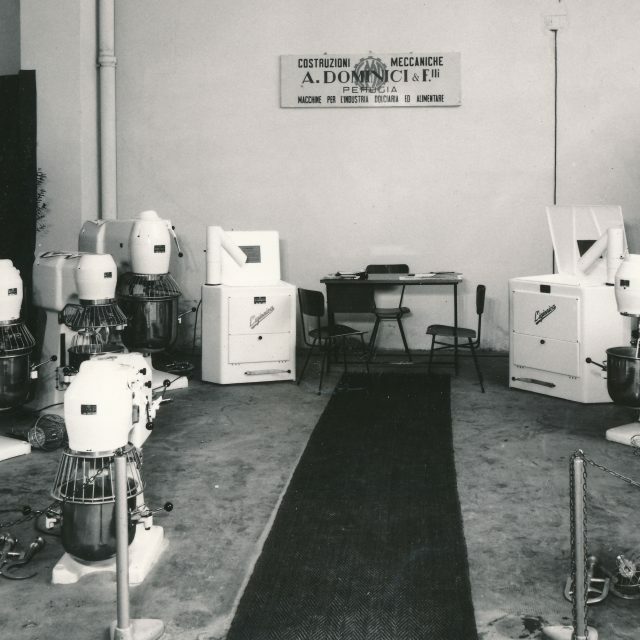 Thanks to its commitment mainly aimed to the dessert sector since its establishment in 1944 by the Dominici brothers and its technical contribution, our company took part to the revolution that has led this sector to the highest level of automation. 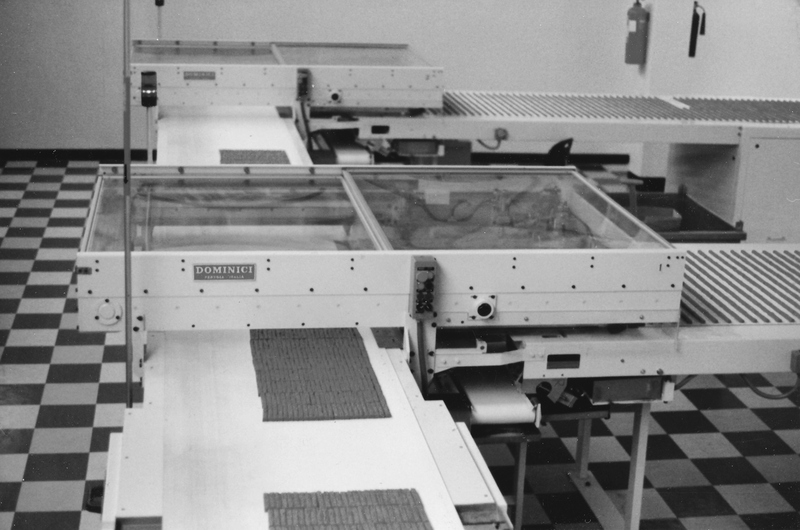 Even in 1951 the first automatic machine was produced to wrap and coin chocolate coins. 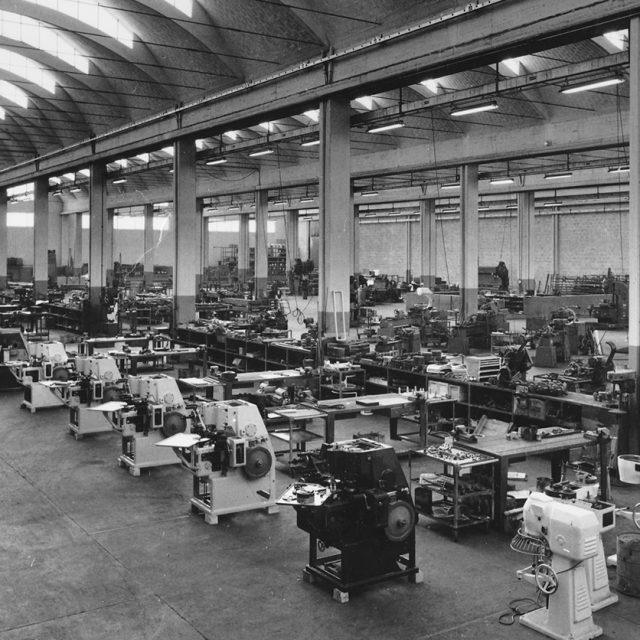 The machine will have been subject to several evolutions up to reach the current one, of major production, fitted with automatic feeding of chocolate coins and advanced control systems. 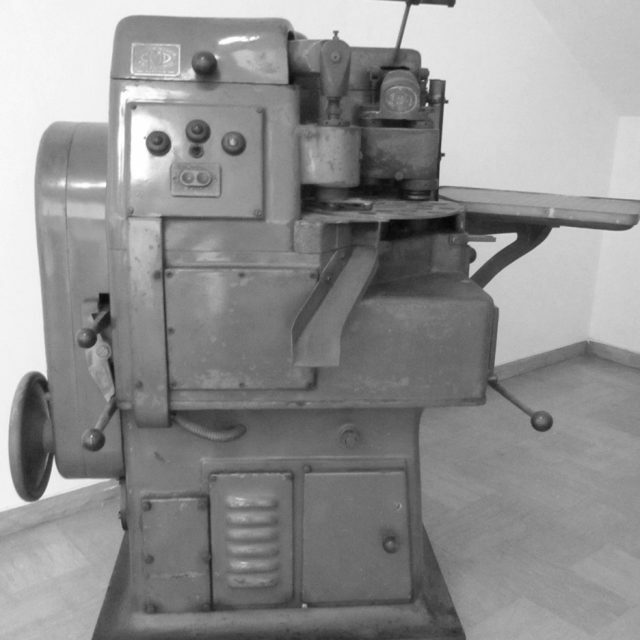 A parallel sector to that of machine for big industries has been the sector related to the production of machines for bakery: blenders, kneading machines, mills and refining machines, namely all machines that are essential to small as well as big-sized bakeries. 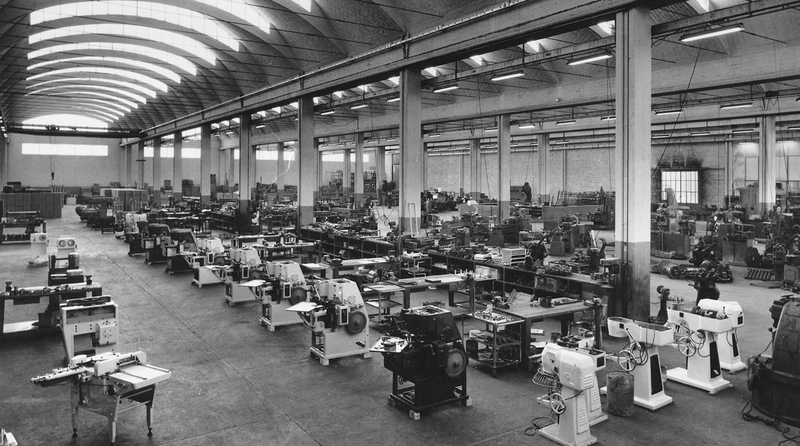 Thanks to its participation to many expositions in this sector, the company acquired its reputation for quality, reliability and duration over time of its machines. 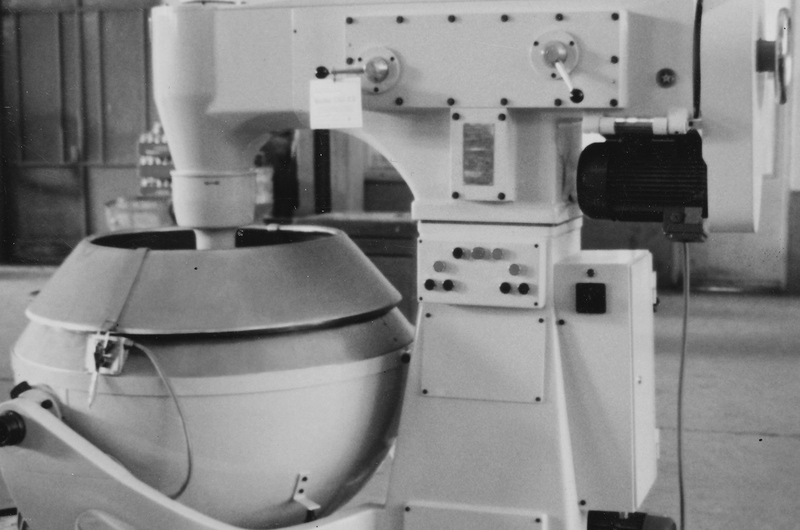 In 1964 was presented the most complete and still unmatched machine to wrap chocolate eggs, again the only one in the world being able to produce mechanically the bowknot. 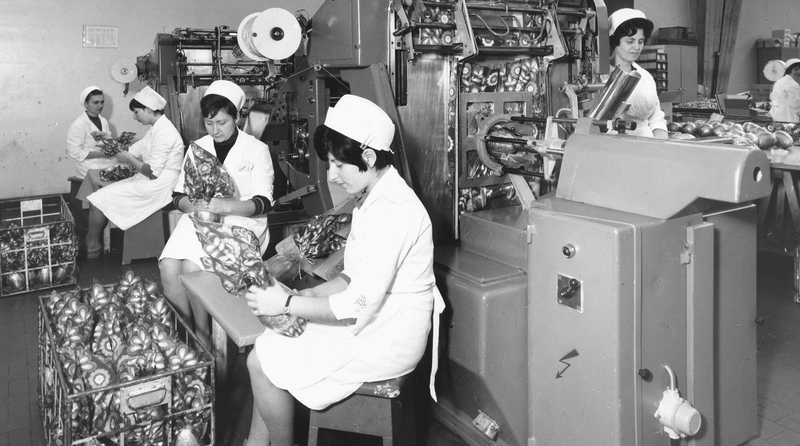 In 1970 an important cooperation was launched with packaging companies, which will have followed each other over time, for the manufacturing of machines to package liquids in aseptic packages and that will be sold under the same brand as these companies known at international level. 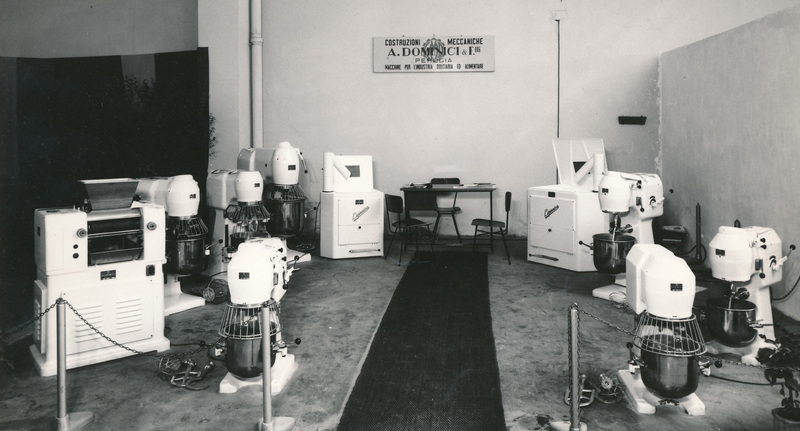 The cooperation for these machines will not be only for production but also design and development up to reach a level that has allowed them to access easily the market. 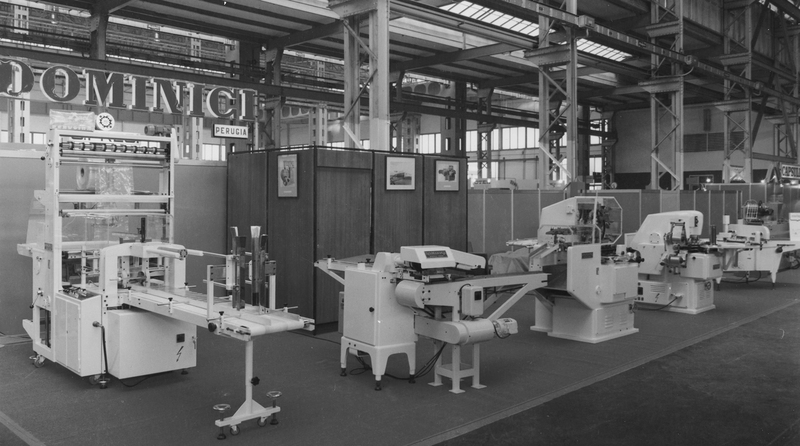 At the same time the company specialised in the handling and packaging of products, mainly in the chocolate domain by supplying the most expanded companies of this sector: feeders for wrapping machines, packaging machines for chocolates and highly automated packaging systems. 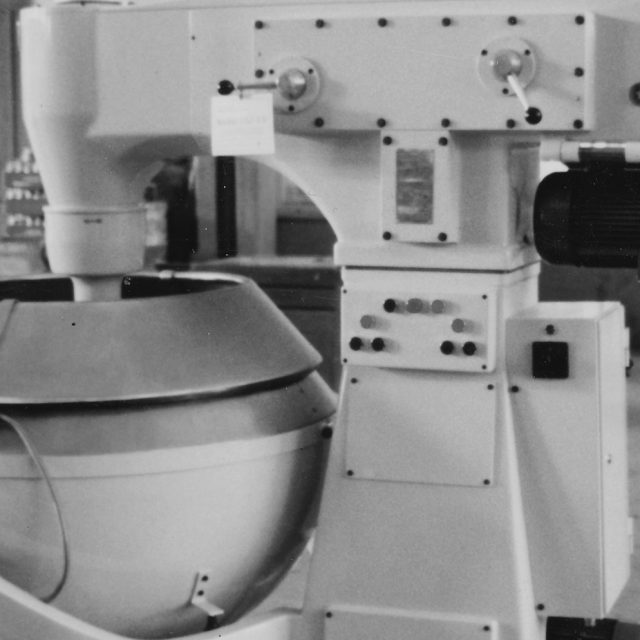 In the continuous evolution of production the robotic sector could not be missing, a sector that was growing during those years; in our case specialised in the application of packaging and handling of confectionary products. 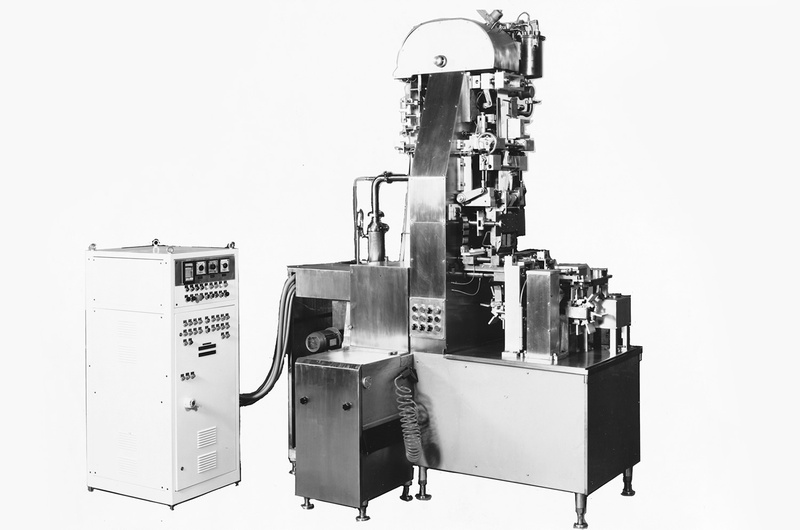 In 1998 a machine was designed and manufactured to apply plastic caps on packages of liquids and on boxes of solid products. 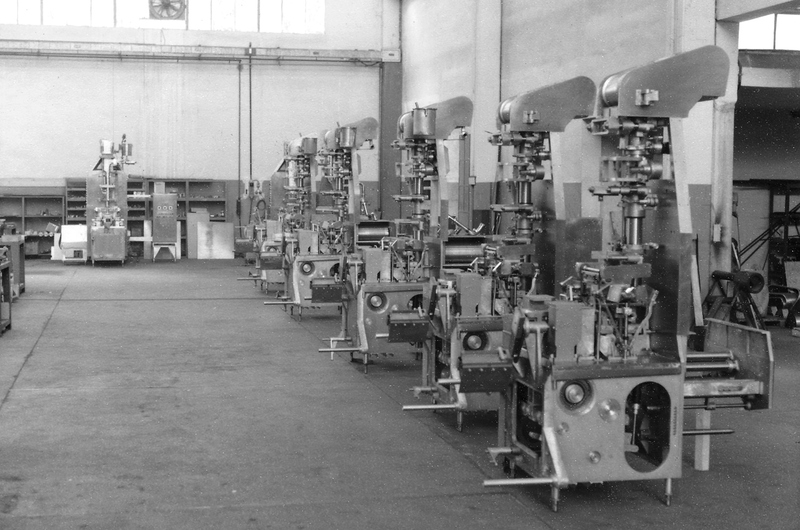 Relations withe packaging companies carry on and increase for the manufacturing of packaging machines for liquids that are more and more advanced and at the same time it carries on the design and manufacturing of special machines under its own brand, again in the sector of liquid packaging. 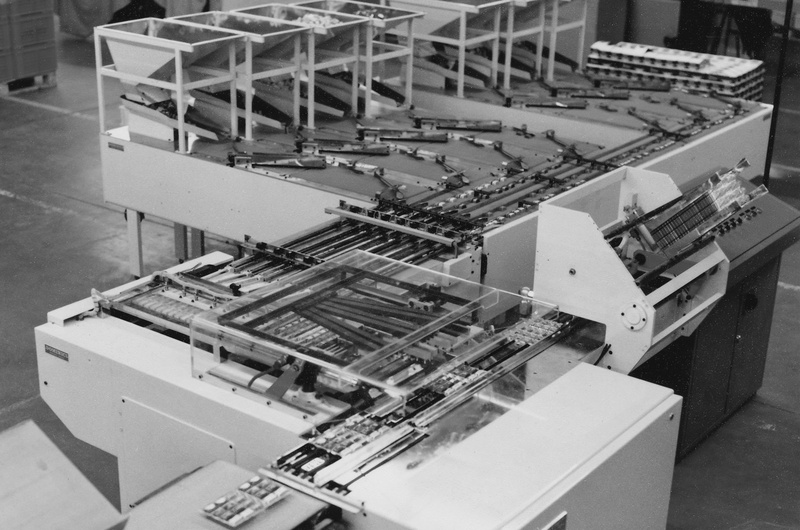 In 1998 a machine was designed and manufactured to apply plastic caps on packages of liquids and on boxes of solid products. 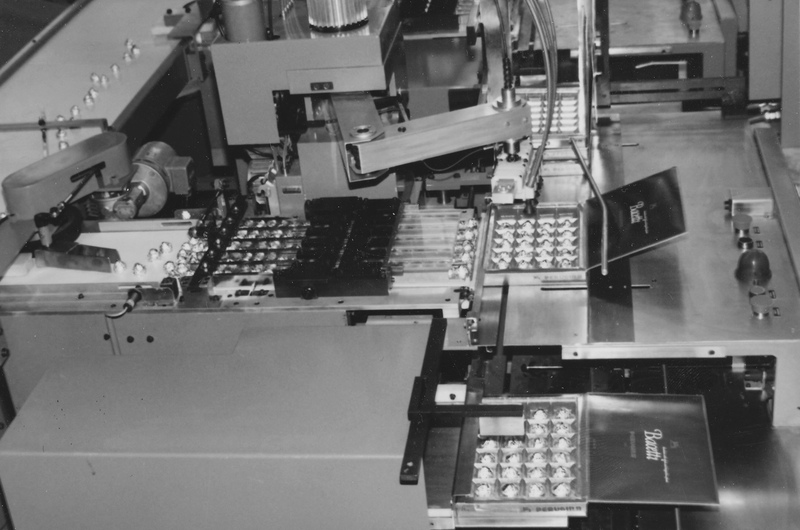 The cap applicator, originally with intermittent movement, will have subsequent evolutions up to reach the current continuous machine intended to be supplemented by wrapping machines with a higher level of production. 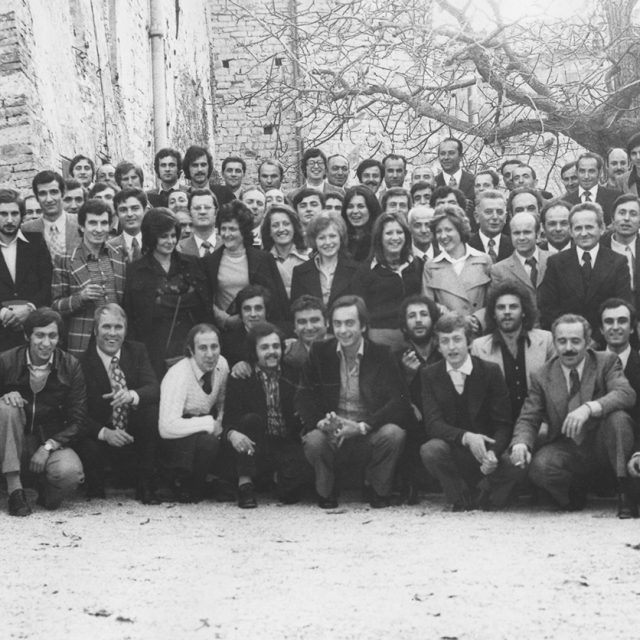 Besides 70 years of experience, access to wider and wider markets and its work with the main leader companies of the confectionary and food sector are the guarantee that our company proposes action, not fine words.